Bet that got your attention! Here’s more, just to keep you interested. 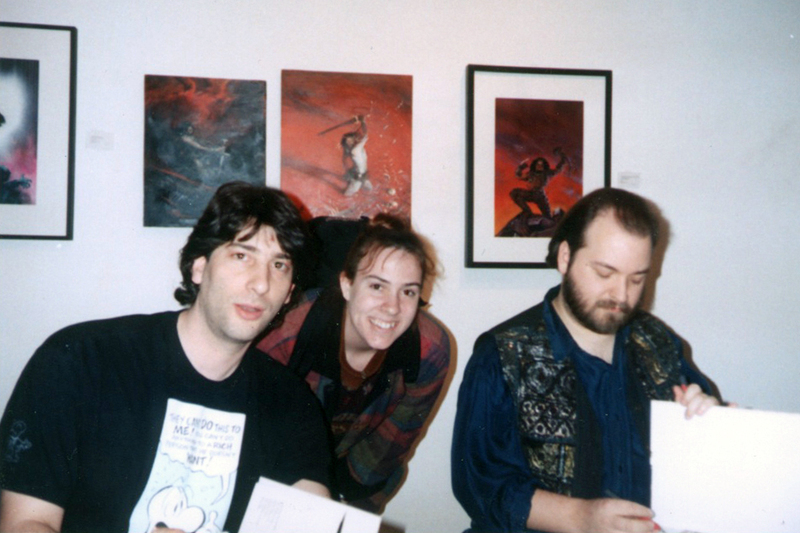 Okay, so why am I talking about Neil Gaiman – oh, let’s just call it – five years after meeting him? I recently had an experience that brought me one step closer to him or, more particularly, to his literary agent. I told a story about it at the George Mason University Fall for the Book Festival during the Better Said Than Done night of storytelling. Hope you enjoyed my true story. If nothing else, retelling the tale has inspired me to work harder! I haven’t really been using this site to promote the nine million storytelling things I have going on at any given time, but September is filled with a lot of great stuff, (and a lot of it’s free!) so figured I might as well share. Here’s what I will be up to this month. Hope to see you at one or all of these events. We offer a behind-the-scenes glimpse of creating and performing true, personal stories. Moderated by Shawn Westfall, the panel includes storytellers David Supley Foxworth, Jessica Piscitelli Robinson, and Ellouise Schoettler. Click Here to Purchase in Advance! Hosted by Jessica Piscitelli and including stories performed by Mattie Cohan, Dustin Fisher, Susan Gordon, Miriam Nadel, Brad Podliska, Anne Thomas and Zach Wilks.